Oh no! Are you registered? If not, you better quick! It isn't safe around these parts! If you are, quick! Log in! If you get caught....well there's no telling what could happen! This is where you read the rules and other important topics relevant to the forum. Be sure to read ALL the rules, or you will be warned, banned or possibly deleted! Admins or Mods will post here if there is any news or updates. Please no posting if you aren't a mod or admin! Here you make characters. Be sure to wait for acceptance before RPing! Did you find a model or celebrity to base your character on? Post in the topic within, and we will update to show that you are the only one allowed to use that person! New to the forum? Come on in and introduce yourself here. Tell us a little bit about yourself, we're glad to have you here! Post here if you have a suggestion on how to make this site better! Any questions? Post here, and someone will surely help (: Advice? Life issues, character issues? Post here, and someone will help with them too! Don't feel up to much? Come here, and play a relaxing game. Here you can plot roleplays and adventures with other members for you and your characters. You may discuss plots, plan plots, or ask if anyone is interested in joining a plot here. Got a talent? Making pictures, grafics? Maybe Photoshop, or some other editor? Want to earn dollars for making them for people? Make a topic here, and watch your bank fill. Come here, and sell or give away characters you don't need/want anymore! Just like real life, only you can get Dollars for them! Come, just hang out. Everything is game in this forum. High School on the Hellmouth. Come here, take math class, take history class, fight evil praying mantis sub-teachers. You know, just a normal school. People get sent here when they do something bad. Back chat a teacher, not do homework, burn down school buildings, stab horticulture teachers with a trowel. 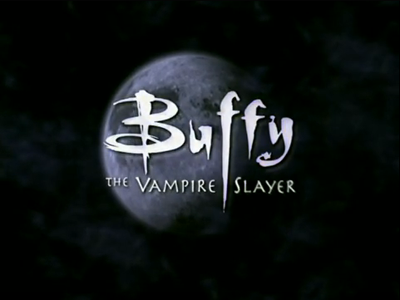 Giles, Buffy and the Scoobie Gang all hang out here. Come, sign out books, talk to them. What? High school's don't usually have books on the occult and demons? Who would've known. A variety. Math. English. History. You can learn, answer questions, and that seat at the back is perfect for a snooze. The Swimming Pool. The Gym. Cafeteria. Everywhere else, well its all here. Collage on the Hellmouth. Come here, take classes, and fight nesting vampires living in Fraternity Houses. You know. Basically the same as High School. All the classes are here. The cafeteria is here. Come, eat, and watch the cutie patootie in the corner. The dorm rooms are here. Remember! Boys aren't allowed in the girls rooms after curfew! Buffy and Willow's dowm is here. Tara is also just around the corner. There are a few big houses for large groups. Maybe you could sign up for one with your friends? Oz is here from time to time, so why not come visit him? These houses are only for girl groups to live. No boys allowed. The Initiative, formerly known as the Demon Research Initiative, is a secret United States Government agency tasked with the capture and research of demons for military purposes. They established a headquarters near the Hellmouth in Sunnydale, underneath the UC Sunnydale campus. Government monster fighters. Basically, a big underground installation, white floors, big pits in the ground. They perform experiments on demons that they capture. Please ask an admin to be here! 1630 Revello Drive is the address of Buffy Summers and her family in Sunnydale. Questions? Come here and ask the slayer. This is exactly what it says. The apartment where Faith lives. Dank, dirty, motel room. Sometimes, if your lucky, you might catch her in. Not here? Check Buffy's house or the library. Really, just a basement under the Harris household where Xander lives/lived. Anya mostly live's here. She can be found normally at Xander's though. A house where Rupert keeps his sword collection and precious books. He's not usually here though. Try the library. Just as it says. Spike's crypt. He hangs out here a lot, mostly watching "Passions"
Willy's Bar is a demon bar in Sunnydale owned by Willy. Its name was later changed to "Willy's Place" to give it some class. The local hospital. Contains lots of rooms, and a few morgues. The Sunnydale Police Department is, as its name suggests, the police force of the city of Sunnydale. Many of its members are servants of Mayor Wilkins, covering up the many supernatural goings-on within the city under his orders. The place where new comer's enter the Hellmouth. The two are attached to each other, back to back. Pretty small. Only a few planes leave every day, so its unlikely you'll get out. A tiny little military base at the edge of town. There are over 43 churches in the Sunny-Dale area. Extra demon activity. Makes people pray extra hard. Please remember that if you're character is a vampire, they wouldn't be found inside one of these buildings. There are over 12 graveyards in the Sunny-Dale area. Buffy, she who hangs out a lot in cemataries, can be found patrolling some evenings if you're lucky. Sometimes you might even catch a gimpse at the elusive Faith. These cemeteries are so heavily used that services are sometimes held at night. The shop that Giles and Anya own. Come, buy magic supplies, get given out to, and remember! Shop lifters will be transfigured! The towns best coffee shop. Made out of a load of car bits and bobs, you can come sit, and listen to people who come to sing. Even Giles comes to sing. The Mayor of Sunnydale stays here. The sewers beneath Sunnydale. Dirty, and vampire infested. The town is situated near several acres of woods and forest, including Miller's Woods. Breaker's Woods is a 45-minute drive from town. Sunnydale is located on the Pacific Ocean. An ocean port with several docked ships is nearby. There is a beach not too far away. Kingman's Bluff stands on a tall cliff overlooking the sea. This is where all watchers come for meetings, and are trained in there watcherly ways. The place where dead topics go. It was fun while you lasted guys!